Consultant; LaShawn Keyser, AEA Stage Manager; Tate Kenney, Assistant. JANUARY was nominated for the Kilroy List and is a MultiStages 2013 New Works Finalist. 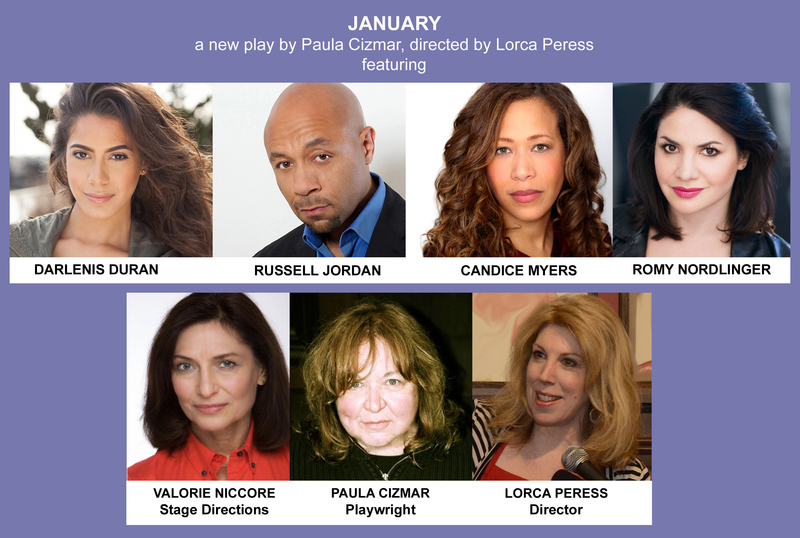 An earlier version of JANUARY was presented in the 2014 New Works Festival. This reading is a Swan Day Event celebrating Women in the Arts during Womens History Month.